Martin Luther king jr. was an activist and a baptist minister. He was the key spokesman of the civil rights movement in the United States. He made every effort to secure civil and economic rights of the African-Americans, who were racially segregated at the time. He is widely known for his nonviolence and civil disobedience to resist racial discrimination thanks to his inspiration from Mahatma Gandhi. He headed Southern Christian Leadership Conference and led Montgomery bus boycott of 1955. He was one of the main civil-rights activist in organizing The Great March on Washington in 1963 and gave his groundbreaking speech that came to be known as one of the finest speeches in the history of United States oratory. Now let’s dive deep into some of the most interesting Martin Luther King jr. facts for kids! Both king and his father were born as Michael King. But his father changed his name in honor of German monk, Martin Luther. 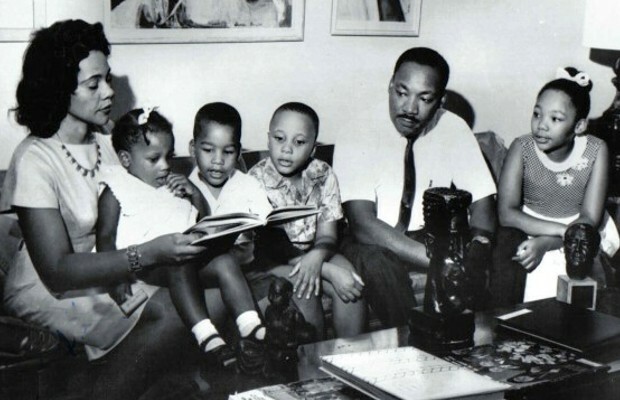 King was the second child of Martin Luther king Sr. 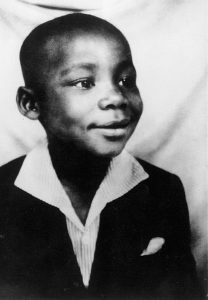 When Martin entered school at the age of 6, he had to say goodbye to his white friend, whose father had prohibited him to play with king. This was the time when African-Americans and white-Americans were not allowed to study together on account of racism. When Martin was only 12 years old, his grandmother (named Jennie) passed away. He was so disturbed by the news that he jumped out of the second story, holding himself responsible for the cause of her death. At the age of 13, he became an assistant manager of the Atlanta Journal. At the age of 15, Martin was admitted to the Morehouse College of Atlanta by skipping both ninth and twelfth grades. He had great public speaking ability that won him the oratorial contest in Georgia. 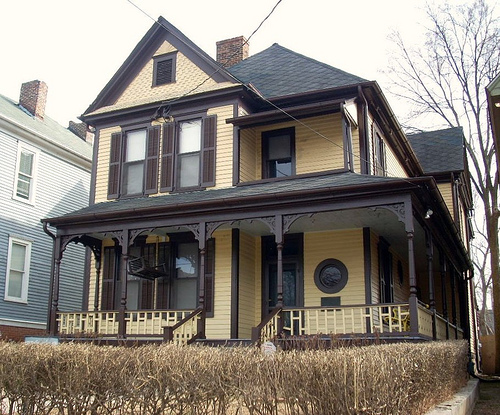 The birth home of Dr. King is situated in the Sweet Auburn historic district. It was constructed in 1895. The maternal grandparents of Dr. King purchased this house in 1909 at a price of $3,500. The parents of Dr. King went into the house in 1926. King was born here three years later. In this house, the family lived until 1941. His paternal great-grandfather was originally from Ireland, which means King had a partial Irish ancestry. He was the second child of his family. Martin Luther King Sr. was the father of Dr. King. Like his son, he was also born Michael King but later changed his and his son’s name. He was a missionary and pastor at Ebenezer Baptist Church. Alberta Williams King was the mother of King jr. and a former schoolteacher. She was shot six years after the murder of Dr. King. She was killed by a 23-year-old boy named Marcus Chenault. The wife of king was Coretta Scott King. She was an activist and leading figure in the civil rights movement. King was two years younger than his wife, Coretta Scott. In 1968, Coretta Scott King built the King Center for Nonviolent Social Change. She also played a vital role in making Martin Luther King Jr. day a federal holiday. The idea of a federal holiday in honor of Martin Luther king was first put forward by labor unions. Edward William Brooke, first African-American senator, and John James Conyers, a Democrat, introduced the bill for this purpose but it was not approved. The opponents of this bill asserted that the holiday would be too costly and that it would be against the age-old tradition to honor a citizen who had never held a public office. 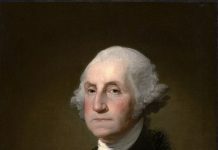 Christopher Columbus and George Washington are the only two American leaders to have federal holidays in their honor. The President Ronald Raegan signed the bill for a federal holiday on November 2, 1983 to honor Dr. King. At first, he was not in favor of the bill. Martin Luther king jr. day was celebrated for the first time on January 20, 1986. Even though the law was passed in 1986 to observe federal holiday, not all U.S. states went along with it and observed the holiday. The New Hampshire started observing federal holiday in 1991 and Utah did it in the year 2000. In the New Hampshire, the “Fast Day” was canceled and the new federal holiday was announced, known as “Civil Rights Day”. In Utah, the “Human Rights Day” was replaced by “Martin Luther King Jr. Day”. 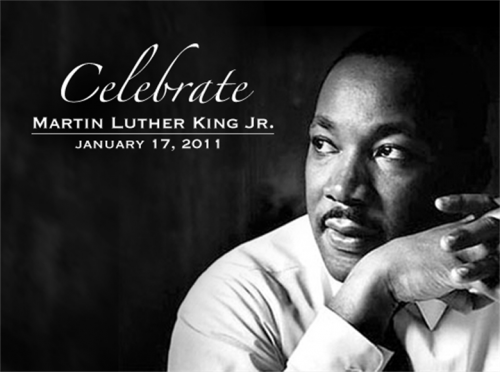 All the U.S. states observed Martin Luther King Jr. Day as a federal holiday on January 17, 2000. The City of Toronto in Canada and Hiroshima of Japan are the only two places outside United States that recognize Dr. King day. It is not a paid holiday in Canada, though. 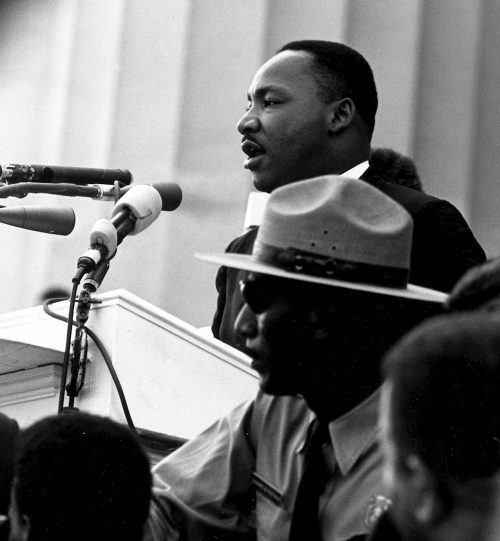 Dr. King gave his historic speech from the Lincoln Memorial during the March on Washington in 1963. The speech is known as “I Have a Dream” and it lasted for about 17 minutes. This speech came to be known as the masterpiece of public speaking in the U.S. history. George Raveling had the original copy of the speech. He heard the speech firsthand and while Dr. King was leaving the podium, he handed over the copy to George on his demand. George was only 26 years old at the time. Later on, he became the basketball head coach at the Washington State University. This copy contains handwritten notes of Dr. King and it was recovered in 1984. George Raveling did not put up the original copy of the speech for sale. In 2013, he was offered three million U.S. Dollars for that, but he declined. I have a dream that one day this nation will rise up and live out the true meaning of its creed: ‘We hold these truths to be self-evident: that all men are created equal. ‘I have a dream that one day on the red hills of Georgia the sons of former slaves and the sons of former slave owners will be able to sit down together at the table of brotherhood. 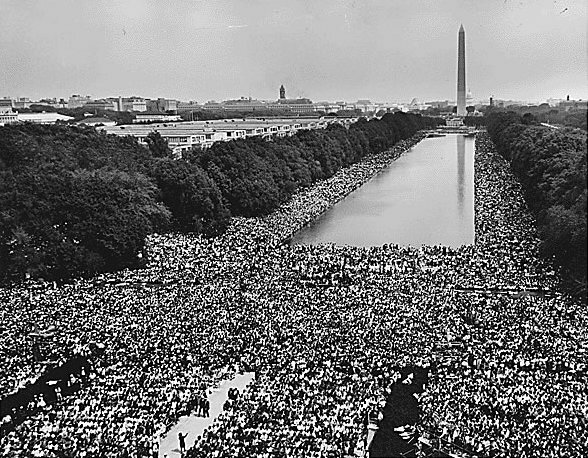 The Great March on Washington was held on August 28, 1963. It is known as the March on Washington for Jobs and Freedom. It was one of the largest street protests in American history. Its purpose was to support the civil and economic rights for the Afro-Americans by putting an end to racism. It was conducted by two American leaders of the civil rights movement: Bayard Rustin and Asa Phillip Randolph. About 250,000 to 300,000 people took part in this march. Almost 80 percent of these participants were African-Americans. He advocated for the civil rights of the African-Americans by civil disobedience and nonviolent means. He led the famous social protest called Montgomery bus boycott in 1955. The boycott lasted for more than a year and put an end to the laws that were based on racial segregation. He founded the civil rights organization for the African-Americans called Southern Christian Leadership Conference (SCLC) in 1957. He was also its first President. He was one of the leading persons to organize the Great March on Washington in 1963 and delivered his famous speech. Martin Luther King Jr. Memorial Washington D.C. 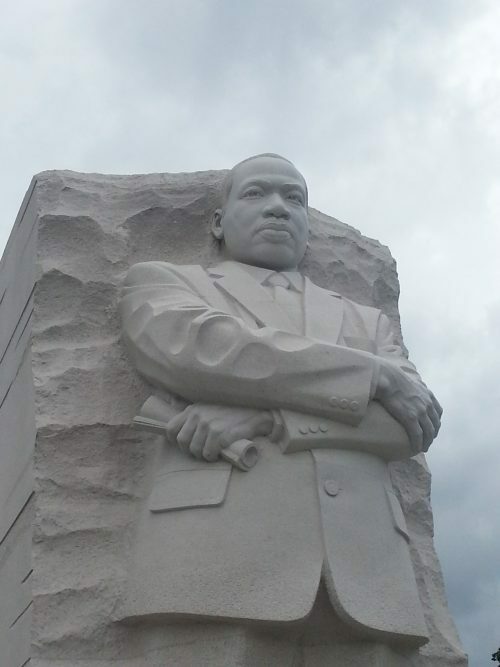 The sculpture of Dr. King was carved out by a Chinese sculptor named Master Lei Yixin. Master Lei also sculpted Mao Zedong, the founding father of People’s Republic of China. In his studio, Lei examined hundreds of pictures of Dr. King to get a clear view of his figure. At first, he crafted a three-foot scale model of the sculptor. Finally, a 30-foot replica (made up of fiberglass) was created as a reference. The entire sculptor is made up of 159 white granite blocks. All the blocks were shipped to China where Master Lei assembled them and completed 80 percent of the artwork in his studio in Changsha. These blocks were then dismantled again and moved back to Baltimore, where Lei reassembled the sculptor along with the remaining 20 percent of artwork. Dr. King is the first African-American to be honored with a memorial. He is also the fourth one among the list of persons who has not served as the President of the United States but honored with a memorial. There are fourteen quotes of Dr. King engraved on the Inscription Wall of the memorial. The memorial was officially dedicated on August 28, 2011. This is the very date when The Great March on Washington was held. It was opened to the public on August 22, 2011. The memorial took around 20 years of planning. The construction on the memorial started in December 2009 and completed in 2011 at a cost of $120 million. The site was renamed as the Martin Luther King Jr. National Historical Park on January 8, 2018. The site includes buildings like Ebenezer Baptist Church and Dr. King’s birth home. This is the very church where both Martin Luther King Sr. and jr. were pastors. It was designated as the National Historic Site on October 10, 1980. The National Park Service (NPS) now administers it. The memorial, birthplace and the grave site of Dr. King along with Ebenezer Baptist Church, all are situated within Martin Luther King Jr. Historic District. The district was listed on the National Register of Historic Places on May 2, 1974. 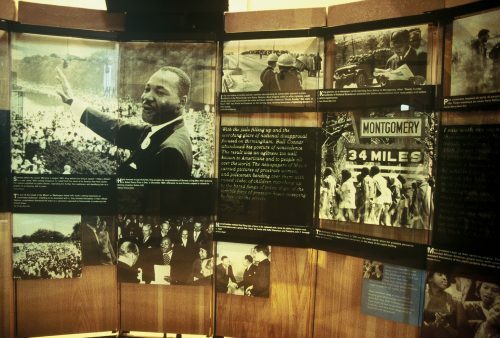 The national historical park also contains Martin Luther King Jr. Center for Nonviolent Social Change. It was established in 1968 by the wife of Dr. King, Coretta Scott King. The King Center became part of this park in 1981. King completed his graduation in sociology from Morehouse College and Ph.D. from the Boston University. He was assassinated on April 4, 1968 by a sniper’s bullet. The name of the killer was James Earl Ray. 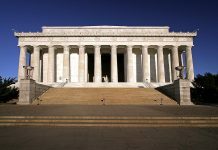 The memorial is situated in the West Potomac Park, southwest of the National Mall in Washington D.C. It is spread over 4 acres of area. Martin Luther king day is celebrated each year on the third Monday of January. It is officially known as Birthday of Martin Luther King Jr.
3 Interesting Facts about Martin Luther King Jr. According to king jr., his father used to beat him quite frequently until he turned 15. At the time of his birth, the surgeons thought that king was dead. So they hit him on his back and all of a sudden, he started wailing. He was a tidy child and would always dress up properly. That’s why his friends used to call him “Tweed”, because king would spend a large portion of his income on his clothing. The educational institutions awarded king jr. fifty honorary degrees. In 1957, the National Association for the Advancement of Colored People awarded him the Spingarn Medal. 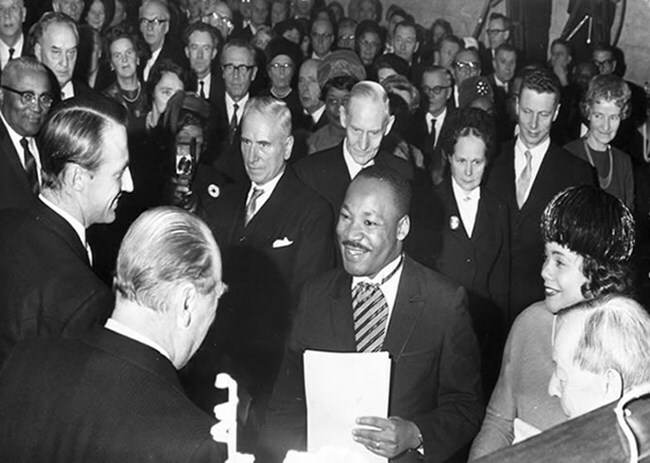 In 1964, king received the Nobel Peace Prize for resisting race-related issues through nonviolent means. He was also the youngest recipient of this prize. In 1965, the American Jewish Committee awarded him the American Liberties Medallion. In 1966, he became fellow of the American Academy of Arts and Sciences. In 1971, he was awarded Grammy Award for Best Spoken Word Album. In 1971, the U.S. President Jimmy Carter awarded king the Presidential Medal of Freedom. In 2004, king and Coretta Scott were given Congressional Gold Medal. Without question, the greatest legacy of Dr. King is to attain civil rights for the African-Americans at a time when there was racial prejudice against them. The Civil Rights Act of 1968 was approved on April 11. It was a milestone piece of legislation because the law made it illegal to discriminate on the basis of race or national origin in housing opportunities. This act is also known as Fair Housing Act. It was signed by the President Lyndon B. Johnson. The ultimate tragedy is not the oppression and cruelty by the bad people but the silence over that by the good.